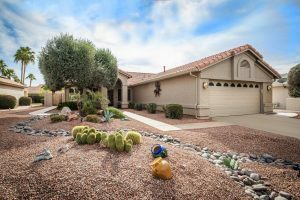 23709 S Rosecrest Dr Oakwood Sun Lakes AZ has just been listed. ESCAPE THE WINTER AND COME TO SUNNY SUN LAKES! Welcome Home to 23709 S Rosecrest Dr on a quiet street in Oakwood, Sun Lakes AZ! The curb appeal will impress you when pulling up to this Solano floorplan home. Take a step inside and find 2 master suites, 2.5 baths, and small office space off of the laundry room. The kitchen has recent updates and modified with granite counters, backsplash, and refinished cabinets. Your new backyard is a peaceful east facing lot. Whether you want to sit and relax while watching the water feature or practice your swing on the putting green, this backyard offers the options. Living the Resort Life at 23709 S Rosecrest Dr Oakwood! Not only do you have serenity at this home, but you also get the advantage of living in an active adult community. Living at one of the communities in Sun Lakes gives you the feeling of living at a resort. 23709 S Rosecrest Dr is located in the Oakwood Country Club and is the newest gated community. Your choices of activities can fit the needs of anyone. Like to golf? You can choose from three 9-hole golf courses. Perhaps you’re ready to try your hand at pickleball. You can play a casual game on one of the many indoor or outdoor courts or join a pickleball club. From tennis to pools, to clubs and organizations, there is always fun to be had when you live in Oakwood! 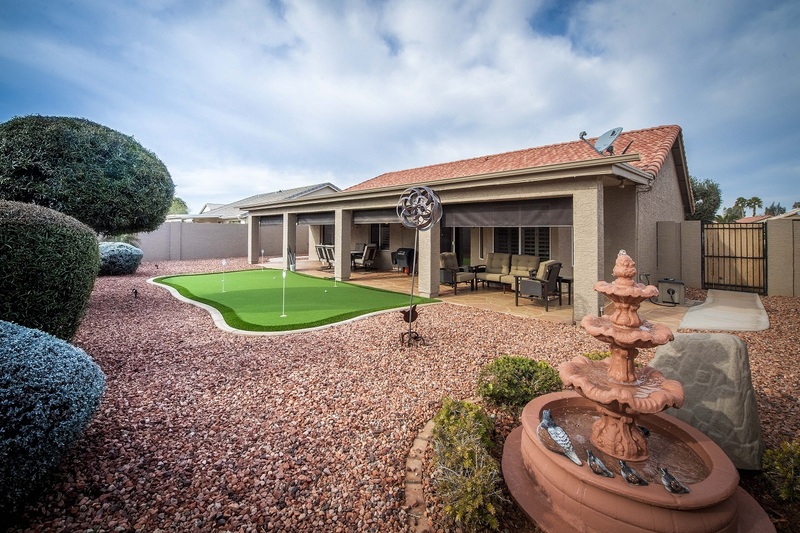 When you have a home in Sun Lakes AZ, your living in a prime location. While you are buying in one community, as an owner, you have access to all of the communities. Aside from all of the perks of living in this community, you are close to so much in the rest of the valley. You will have a quick drive to Sky Harbor International and Mesa Gateway Regional Aiport. Making it easy to pick up all of the people that will want to come to visit you in paradise! With Sun Lakes bordering Chandler, you can go shopping, museums, theater, hiking trails, and so much more! What are you waiting for? Want to learn more about 23709 S Rosecrest Dr in Sun Lakes? Contact us here or call us at 480-440-0849. Find out more information about The Kolb Team and the communities of Sun Lakes by subscribing to our YouTube channel!